It’s rare to find a person who has not heard the song “Take it Easy” by the legendary band the Eagles. 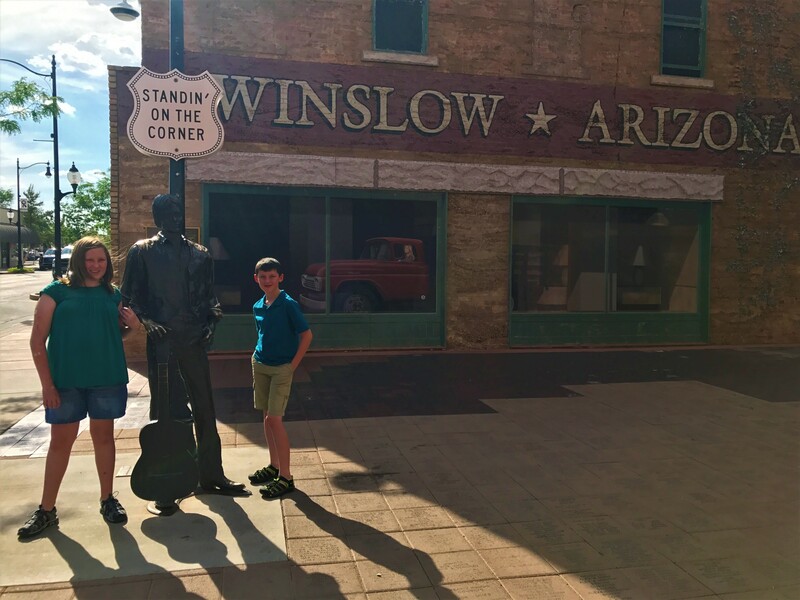 If you have heard that song, then you know the lines, “Standing on the corner in Winslow Arizona, such a fine sight to see. It’s a girl my Lord in a flatbed Ford, slowin’ down to take a look at me.” Well, Winslow has embraced the fame brought to them by the song and have created the Standin’ on the Corner Park. 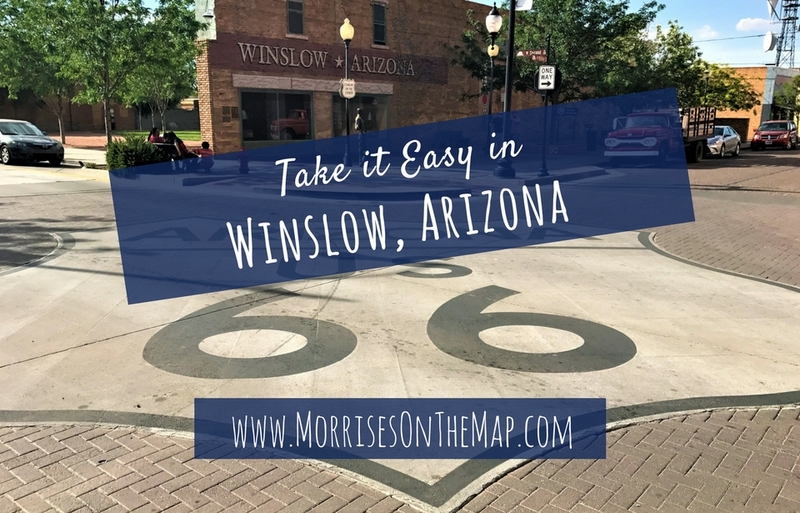 The park can be found in Winslow’s historic downtown on the corner of Kinsley Avenue and Second Street (Route 66). The park offers several photo opportunities. Visitors can take their pictures in front of a mural depicting the lyrics of the song, a statue of a musician and red flatbed Ford truck. On opposite corners from the park you will find several Route 66 gift stores and an ice cream shop, The Sipp Shoppe. 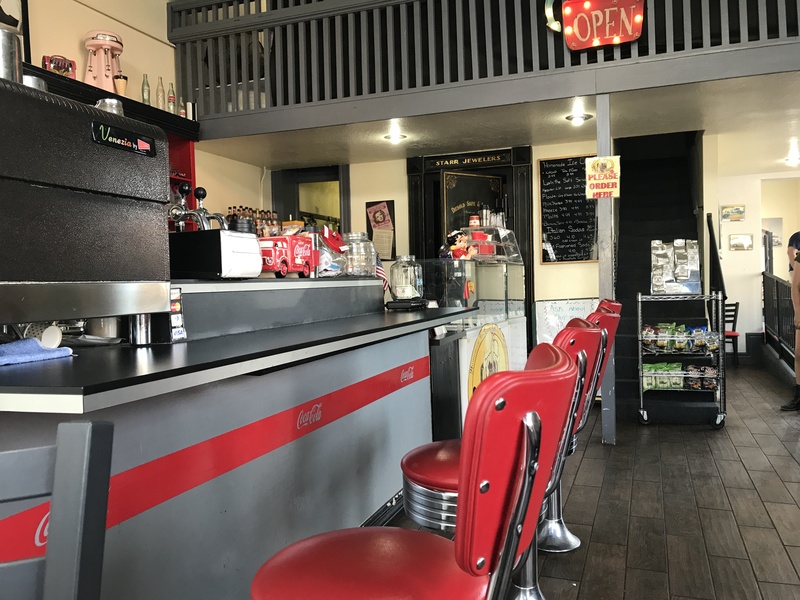 The Sipp Shoppe is housed in a former bank and is a great place to sit, relax, and imagine what the corner would have looked like 60 years ago. 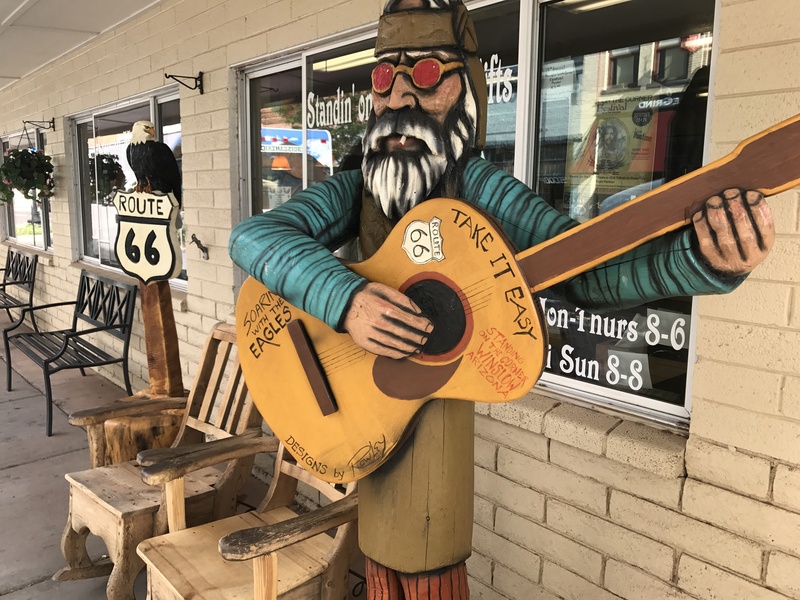 If you are looking for a Winslow, Arizona or Route 66 souvenir, the shops on the adjacent corners have just about everything you can think of and are reasonably priced. If you are traveling down IH 40 in Arizona this is one stop you must make! Just be prepared to have “Take it Easy” running through your head for days to come! Nearby you can also find Holbrook, Arizona and Petrified Forest National Park. If you want to learn more about these stops check out our post, A Day in Petrified Forest and Holbrook, Arizona.